The Conrad Hotel are supporters of all things Irish. They source Irish produce to be served in their very delicious restaurant, they commission Irish carpenters to create beautiful furniture dotted all around the hotel and it doesn't stop there. 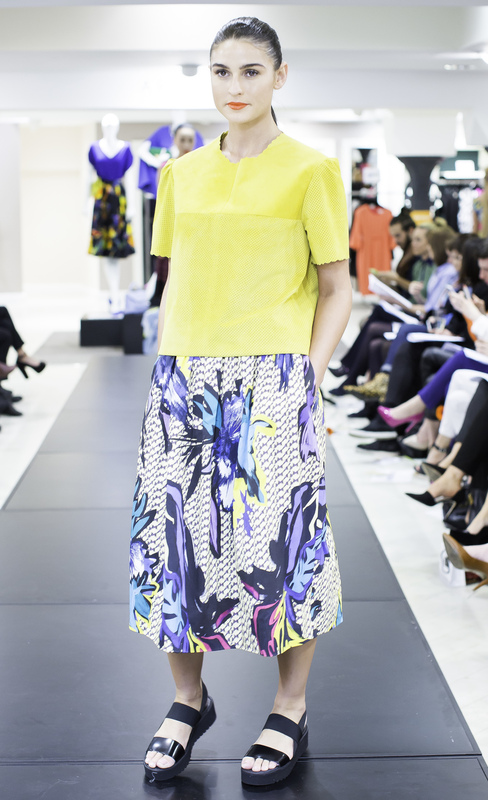 This year, for the second time, the Conrad showcased three Irish designers in the lobby of the hotel for all to see. Myself, Caroline Matthews and Blathnaid McClean were the chosen three. The showcase was launched at an exclusive fashion show in one of the five stars luxury suites. As our three looks took to the catwalk, we each took to the mic to share our collection inspiration. Following the launch, each designer displayed three key looks from the season in the hotel lobby for a week. We’ve been a busy bunch behind the scenes getting ready for Manley’s launch into Arnotts, Dublin. 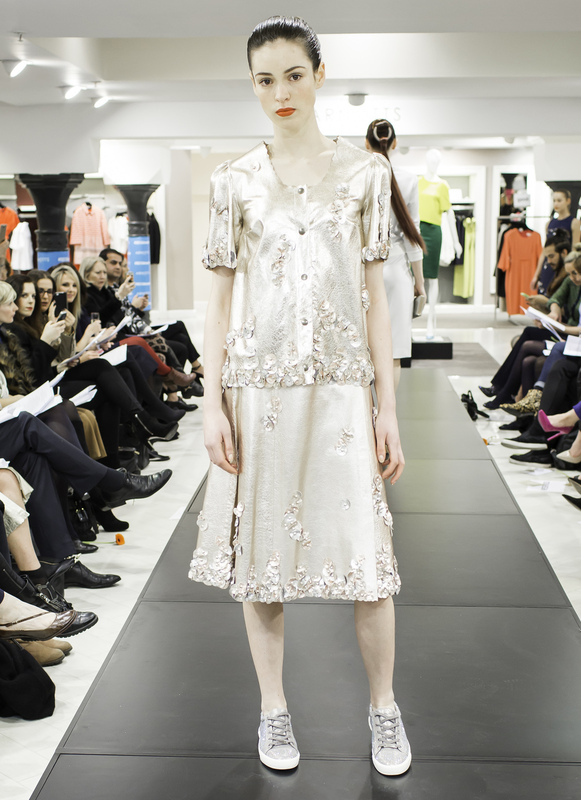 The Spring/Summer 15 show was where Manley was first seen in-store and what an exciting event to do it at. Aromatic cocktails, bubbles and delicious treats from Clodagh’s Kitchen were had while everyone watched this seasons new offerings, and gorgeously colourful one’s at that, strutting down the catwalk. We thought Manley was the highlight of the show but lets be fair, Team Manley are somewhat biased!